Historical landmarks, hilly vistas and a thriving food culture; all of this and more make Lisbon a tourist wonderland. Portugal’s coastal capital, filled with pastel coloured edifices, a Moorish castle with ruins and an engineering marvel that is the Santa Justa Lift, Lisbon traverses through different times, making it a city of things old and new. Lisbon’s history dates back to the early 12th century, even before Rome. The city has experienced a whole lot- from fires to the Portuguese, making it a cultural centre, a food hub and every traveller’s delight. Lufthansa’s multiple flights to the capital city make it easy for tourists to plan long holidays with long stays. The city has so much to offer, one won’t know where to start. But here is a quick run through of must do things in Lisbon. 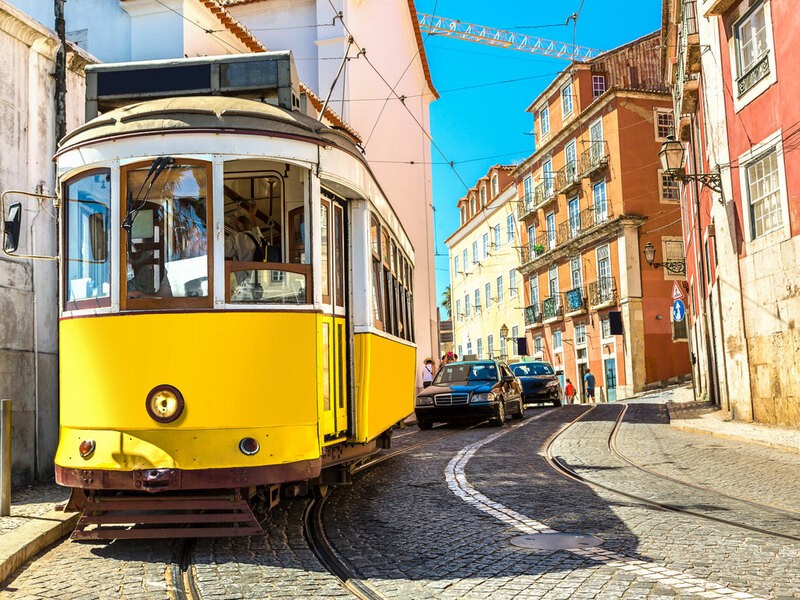 Despite being a capital city, Lisbon exudes a small-town charm, complete with its bright yellow 28 tram. The best way to discover the city is by hopping on the number 28 Lisbon tram that connects Martim Moniz with Campo Ourique, and passes through the popular tourist districts of Graca, Alfama, Baixa and Estrela. When in the city, there are some sites that cannot be missed. The city’s most loved and lively neighbourhood is the Baixa district. When there, one cannot miss a trip up the San Justa Lift. A gothic, wrought iron masterpiece that goes as up to 148 feet, Elevador de Santa Justa (in Portuguese) is one of the four early-20th-century historic elevators still in operation. Watching over the Baixa Pombalina grid of streets and an interesting angle of the Carmo Convent ruins, a reminder of the devastation caused by Lisbon’s Great Earthquake of 1755, are among some of the things that tourists can see. Waiting in line is a compulsion as this is a tourist hotspot. 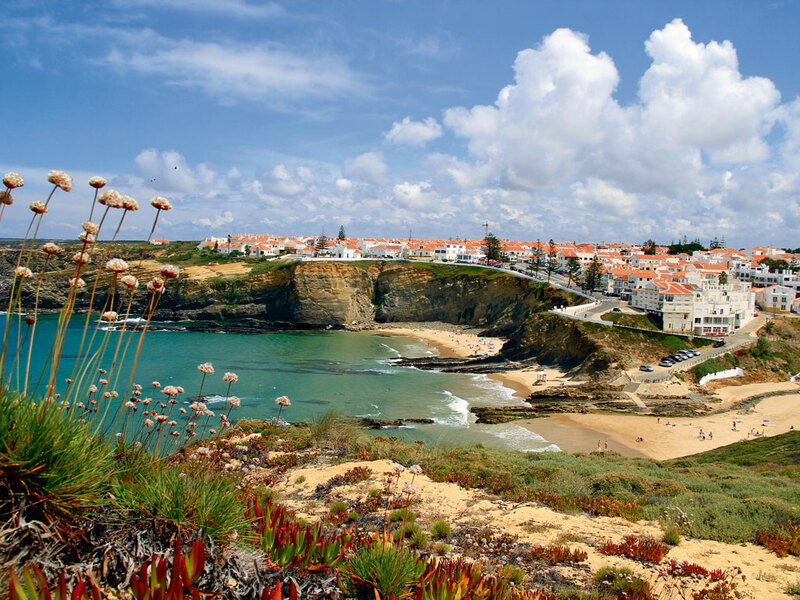 A 20-minute car ride from the San Justa Lift is acres of beautiful Portuguese architecture, the Fronteira Palace. Shifting away from the bustling city area, this palace is privately owned but has some wings open for the public. The 17th century marvel is imbued with azulejo mosaics around the manicured garden walls with the highlight being the Battle Room nicknamed the “Sistine Chapel of Tile Panels”. While the city is buzzing with must see sights, Lisbon also has some multicultural neighbourhoods like Martim Moniz and Mouraria. Martim Moniz has an occasional cluster of vendors, something like a flea market, selling food and jewellery amongst live music. Mouraria is a time capsule, stuck in the medieval times with street art inspired from Fado, a traditional style of music in Portugal. Lisbon’s food scene is thriving; it has been a colourful mix of street food, new markets and local Portuguese delights. 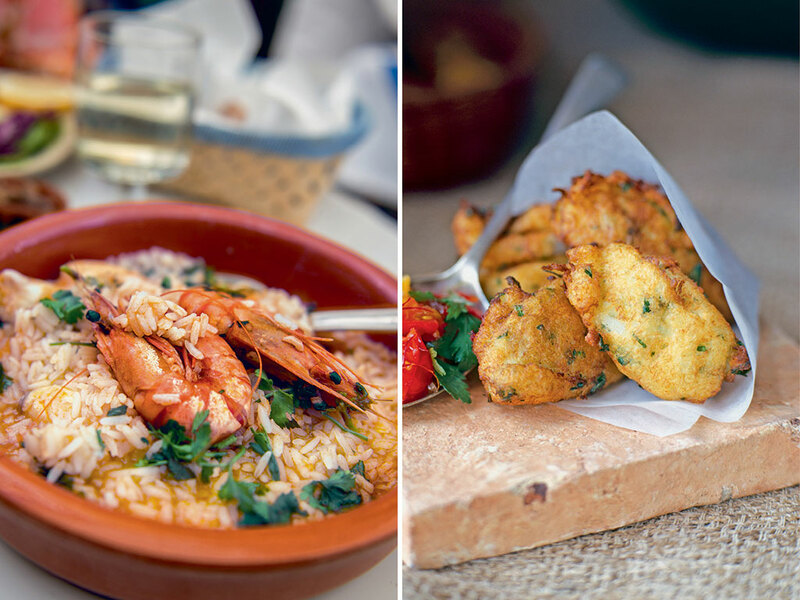 The list of must try dishes goes on; from the slightly vinegary and smoky taste of the Alheira, a Portuguese sausage to the delicious salt cod, that is cooked in over a different hundred ways. Portugal loves its eggs so even scrambled eggs get various treatments and are not just a breakfast dish. Ovos mexidos with farinheira is a delicious starter and an introduction to the farinheira, a Portuguese sausage that is made with flour, pork fat, paprika and white wine. The cinnamon dusted egg tart is a local favourite, called pastéis de nata. Arroz de Taboril is a monkfish stew with rice and Polvo a lagareiro is the famous boiled and roasted whole octopus; these cannot be missed. While all of these dishes are available at all stores, Lisbon has been, also, changing the way it sees and displays food to the public. Lisbon’s street food presence is relatively small but promising, comprising of indoor stall-style markets to kiosks and even tiny street carts. The historic building in Cais do Sodré has merged old-fashioned favourites with Michelin-star gourmet meals in over 30 food stalls and a beautiful floral shop called Mercado da Ribeira. A smaller, less touristy version of Mercado da Ribeira is Mercado Campo de Ourique. Opened in 1934, it’s been renovated a few times and continues to sell a variety of traditional produce, as well as artisanal Portuguese recipes and exotic cuisines. Locals love their Lisbon and have a few landmarks and places which are among the preferred spots. The city has many “miradouros”, or lookout points. A few not to miss while in Lisbon include Portas do Sol and Miradouro da Santa Luzia, both in Alfama, and Miradouro da Santa Catarina in Bairro Alto. Closer to the ground, Pink Street, known as Rua Cor-de-Rosa, is a vibrant, loud, and eclectic. The street is lined in blue and yellow building and houses some of the most fun bars in the city. Lisbon is a coastal city, the Tagus River, lined with walking and running paths, from Parque das Nações to Belém, is loved by locals and tourists alike, with its many cafés and sitting areas. And for those who love the old and heritage, Alfama is Lisbon’s oldest neighbourhood, home of fado, traditional cuisine and old-fashioned buildings. It also has the city’s oldest market and two of the most beautiful lookout points. Say yes to the adventurer in you and discover Lisbon in a whole new way with Lufthansa. Take part in the airline’s The Blind List contest to win a trip to an undisclosed destination. To participate, simply enter three wishes from your bucket list here.